Gold has been the measurement of trade for centuries. This beautiful yellow precious metal has been used for coins, jewelry and an array of other products and has proven to be of great value over the many years. Our coins are professionally certified and graded by either PCGS (Professional Coin Grading Services) or NGC (Numismatic Guaranty Corporation) and are guaranteed to be authentic and true. Historically, the value of gold was rooted in its relative rarity, easy handling and minting, easy smelting and fabrication, resistance to corrosion and other chemical reactions and its distinctive color. As a precious metal gold has been used for coinage, jewelry and other arts throughout recorded history. 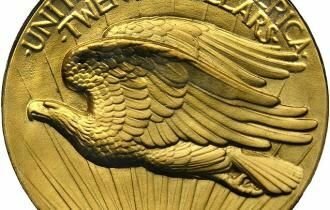 In the past, a gold standard was often implemented as a monetary policy, but gold coins ceased to be minted as a circulating currency in the 1930s, and the world gold standard was abandoned for a flat currency system after 1976. Please visit our Vault to see the great selection of gold coins that we have available in our inventory. If you are looking for something specific, please let us know and we would be happy to find it for you!